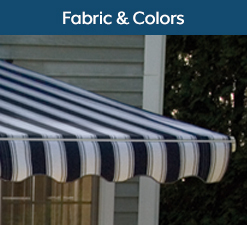 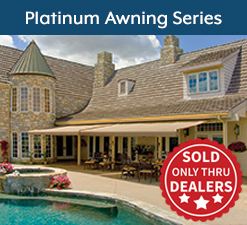 SunSetter Retractable Awnings are the #1 best-selling awnings in America. 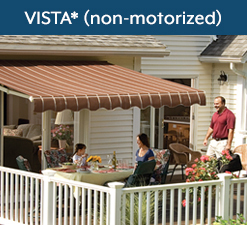 They provide cool shade and protection whenever you want, but retract unobtrusively when you want to enjoy the sun. 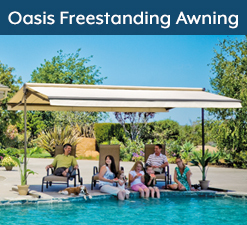 It can be as much as 20 degrees cooler under your SunSetter. 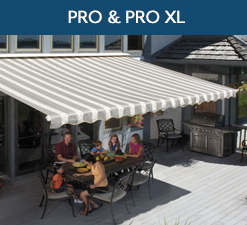 They protect your family from harmful UVA and UVB rays. 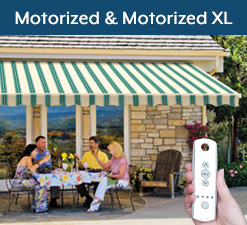 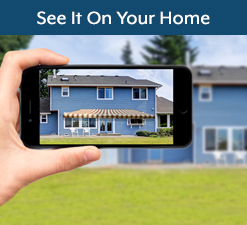 They help cut your air conditioning bills and energy usage by blocking the hot sun before it can penetrate your windows and sliding glass doors. 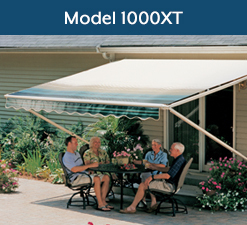 Exceptionally affordable, they provide custom-made beauty and uncompromising quality-without a custom-made price. 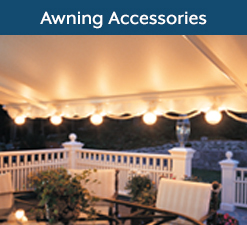 Beautiful, easy to use - and an exceptional value.